The FCC’s “Restoring Internet Freedom” order, which vastly curtails the agency’s 2015 net neutrality rules, has officially taken effect by being entered the Federal Register. The order, published Thursday morning, may sound like the end of the line, but in fact this is the green light for everyone in the country, from citizens to attorney generals to governors and senators, to begin the official battle against the FCC’s ill-advised, technically backwards, and deeply unpopular rule. Little has changed since the December vote, prior to which an intense debate raged between proponents and opponents of the rule. I won’t reiterate them now, but you can read some of the most common arguments and counter-arguments here. Let it suffice for now to say that the rule has questionable motivations, is poorly researched, and removes critical protections against the wishes of millions of citizens. The FCC’s net neutrality decision is a study in just what’s wrong with Washington. This agency failed the American public. It failed to listen to their concerns and gave short shrift to their deeply held belief that internet openness should remain the law of the land. It turned a blind eye to all kinds of corruption in our public record—from Russian intervention to fake comments to stolen identities in our files. As a result of the mess the agency created, broadband providers will now have the power to block websites, throttle services, and censor online content. This is not right. The FCC is on the wrong side of history and the wrong side of the law and it deserves to have its handiwork revisited, reexamined, and ultimately reversed. Once the rule was voted on, then finalized earlier this year, it was sent along to be entered in the federal register and thus take effect — and it did so this morning. Demonstrators outside FCC HQ on December 14. Prior to today, many actions contemplated and indeed announced by opponents of the rule were technically not possible, since the rule was technically not yet in force. A state can’t, for example, argue that its own laws are infringed upon by a rule until that rule legally exists. Today is the moment that the net neutrality repeal legally exists, and you’re going to see a lot — a lot — of actions taken against it, all over the country. Congressional Review Act. Democrats in the Senate and House have far more than enough people to force a vote on blocking the rule from taking effect. While there’s no chance of this getting past the President, it will force every lawmaker to weigh in publicly on the topic. That’s incredibly valuable and will help make this an election issue in the midterms. 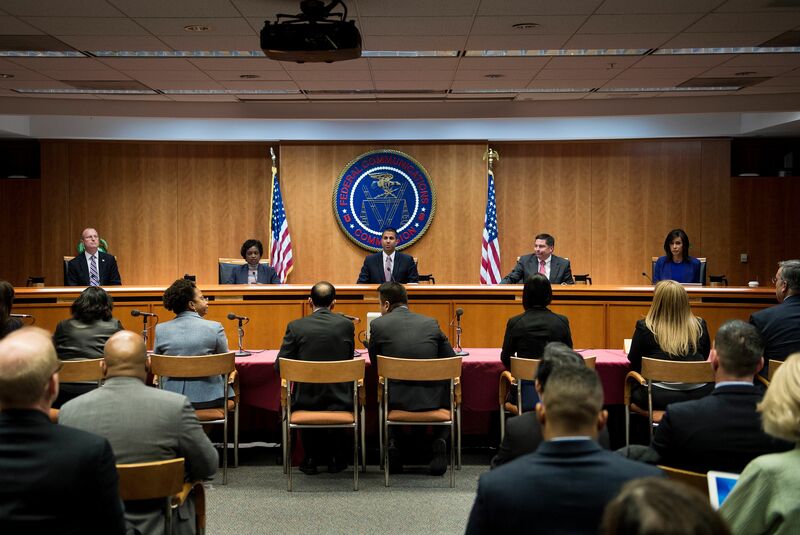 With the publication of these rules, the FCC has taken another step towards stripping away the essential protections that make the internet an open platform for commerce, communication, expression, and innovation. Now that the order to eliminate net neutrality has been published in the Federal Register, the period of time in which legislation to overturn the order can be introduced has begun, and we can begin the legislative process to overrule the FCC and preserve net neutrality. Administrative Procedure Act. There is a good basis for arguing that the way the FCC adopted this rule violated the APA, which prohibits “arbitrary and capricious” rulemaking. The hack of the comments, the lack of public discussions, the ignoring of experts in the field and elected officials’ concerns — these may add up in court. This is the argument pursued by multiple filers in a lawsuit headed by the New York attorney general. Mozilla, Vimeo, and other internet companies are also filing a variety of suits along these lines. State law preemption. A number of states and cities have or will soon have net neutrality rules of their own. 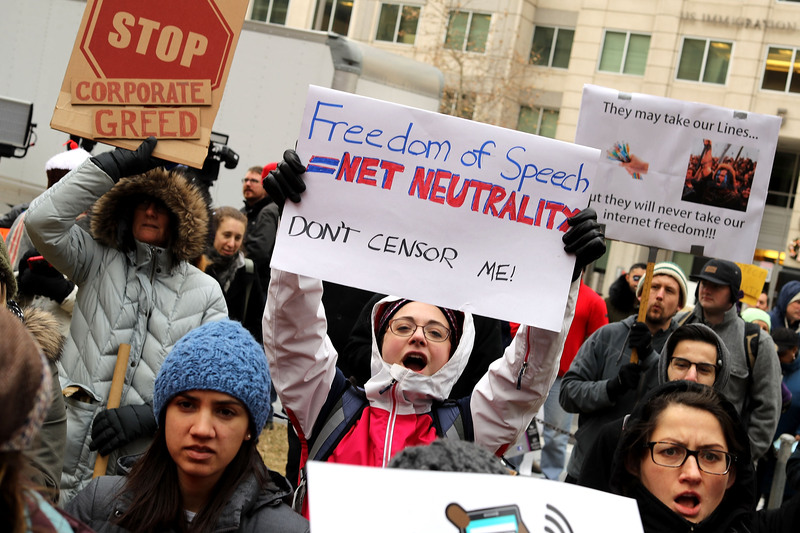 Many will argue that by striking down Title II, the statutory authority under which net neutrality was enforced nationwide, the FCC clipped its own wings, leaving it powerless to enforce its new rules or oppose state ones. Other challenges from companies, organizations, and individuals may take other tacks and attempt to get an injunction in place against the enforcement of the rule, or otherwise tie it up in court. The details of this will only become clear as they’re filed and argued, but you can bet there will be at least a few of them. What can you do? Not too much on your own — ever try taking down a federal rule without help? Me neither. So continue telling your elected officials your position on this issue in order to keep it fresh and in the public discussion. The only way this can be settled more or less permanently is by decisive legislation, and that’s a long term goal — we’re talking 2020 here. You can also watch your own broadband and mobile providers closely and tell us about any shenanigans they try to pull. It’s unlikely that even ISPs deeply opposed to net neutrality will attempt anything obvious while the new rule is under siege. Should it be overturned and the 2015 rules restored, it’s to their advantage to appear to have never taken advantage of the situation.